With the summer holidays looming I have started to think of things to do to keep my children entertained, we have a few days out planned and probably lots of park and soft play visits as well as some time at home. 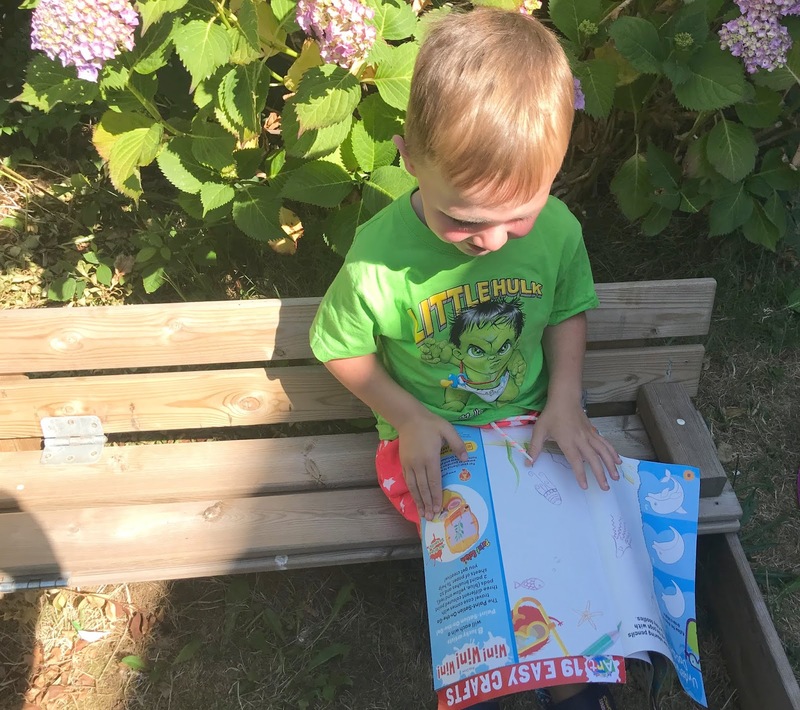 My youngest two are three and five years old so they do often get bored easily and like to be entertained when at home, their favourite thing is crafting and getting creative. However, I am the least crafty person ever so when I heard of Fun to Learn Friends Art magazine I thought this sounded ideal for keeping my children entertained. Fun to Learn Friends Art is a 36-page magazine packed with inspirational ideas to make, design, colour, stick and cut-out. Each issue comes with a craft-kit attached that will help children make the ideas from the magazine. Perfect for an uncrafty parent like myself! 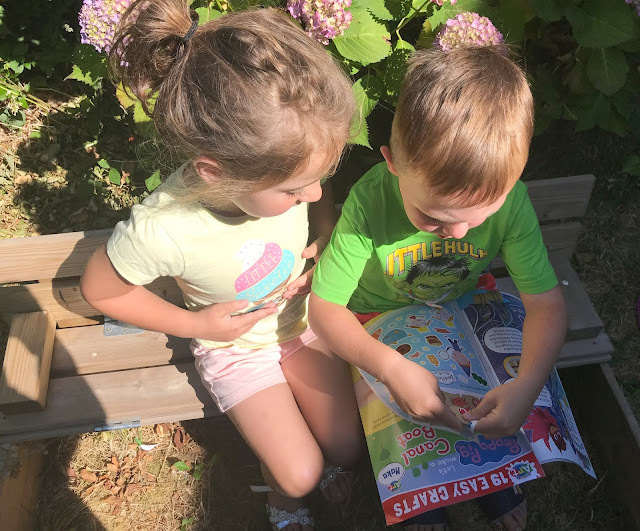 It is recommended for children aged 3 plus and at almost four and just turned five years old, my children were the ideal age to enjoy this magazine. 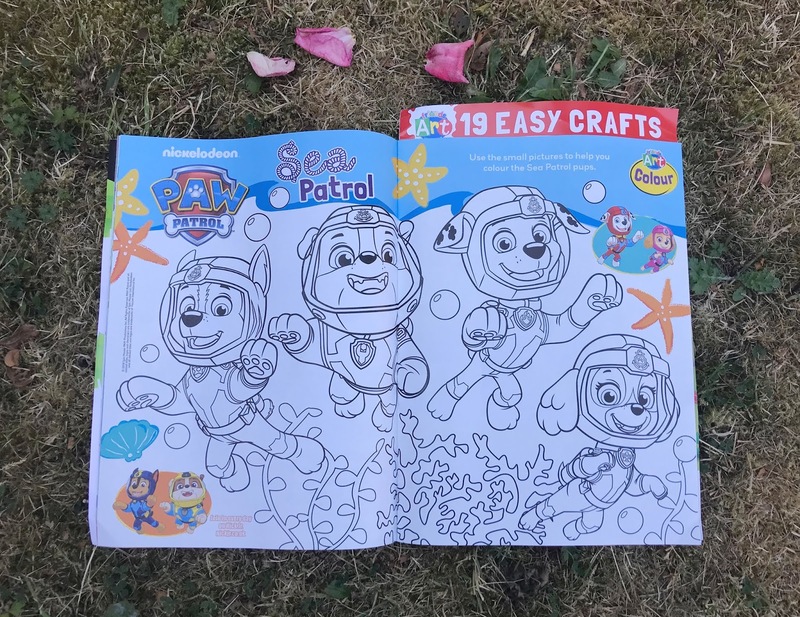 It was packed full of their favourite TV characters such as Paw Patrol, PJ Masks, Ben & Holly, Peppa Pig, Blaze and the Gruffalo. 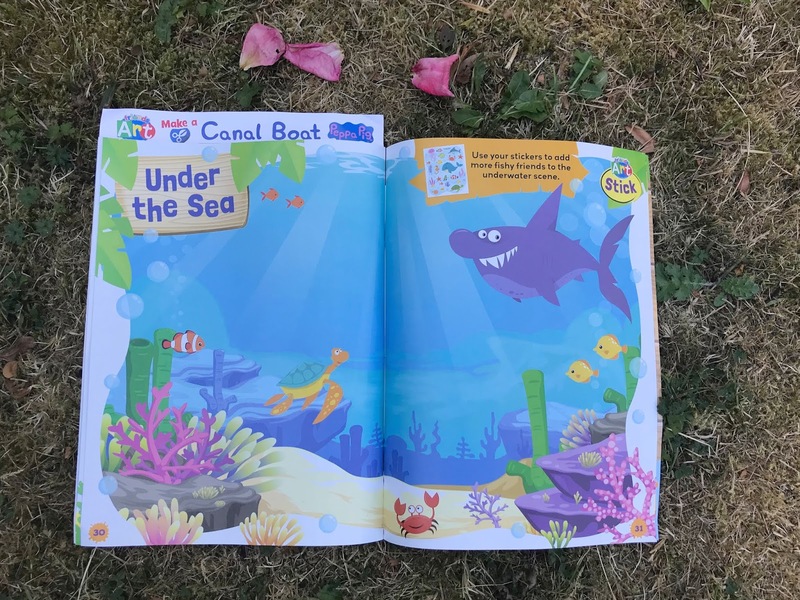 This issue also had a seaside summer theme with lots of under the sea, pirate and ice cream crafts. It was a great way to enjoy some screen-free, creative activities with the much-loved characters they know. A lot of the activities they were able to do on their own such as colouring, making sea creature sticks and creating sticker pictures. Some activities do need adult supervision for cutting and helping with things but everything is super simple and easy to create with everyday objects you will have in the home, with no need to go out and buy lots of supplies. 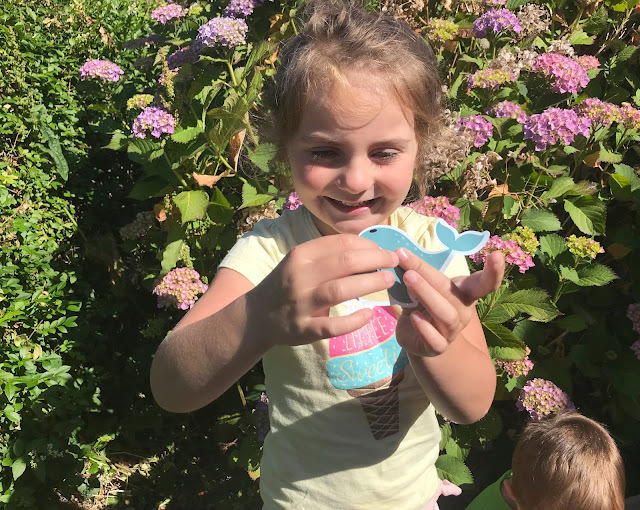 My children could not wait to have a look at Fun to Learn Friends Art and they loved getting creative making the sea creatures, which they managed to create completely on their own. They have their eye on a few crafts they want us to make with them such as Freddie the Fish and Puffy Paint ice creams which I am sure we will do over the holidays. The issue we were sent (issue 5) has 19 easy makes and 110 stickers included. My children liked Friends Art and they have really enjoyed getting creative and having fun colouring in their favourite TV show characters. It is a fun magazine that really appeals to children. 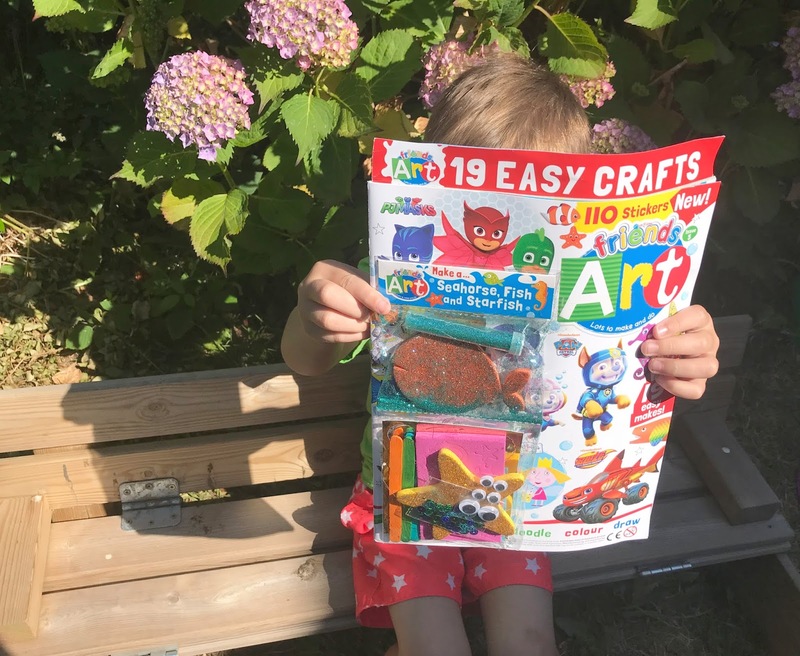 Friends Art issue 6 is out now and comes with a Dragon themed craft set, I just know my little boy would enjoy this so I will be getting a copy next time we are at the shops. You can buy Friends Art from all good supermarkets and newsagents now with a new issue out every four weeks priced at £3.99. You can find out more at www.redan.co.uk/FriendsArt. Plus Friends Art will be taking over UKMums.TV from the 16th-30th July 2018, where there will be loads of free downloads and competitions you can take part in. Disclosure this is a collaborative post with UKMums.TV and Friends Art.